If you google the word "Hope", you'll find that it can either be defined as a noun or a verb. As a noun, it is "a feeling of expectation and desire for a certain thing to happen... a feeling of trust." Alternatively, as a verb or action word, it is "to want something to happen." 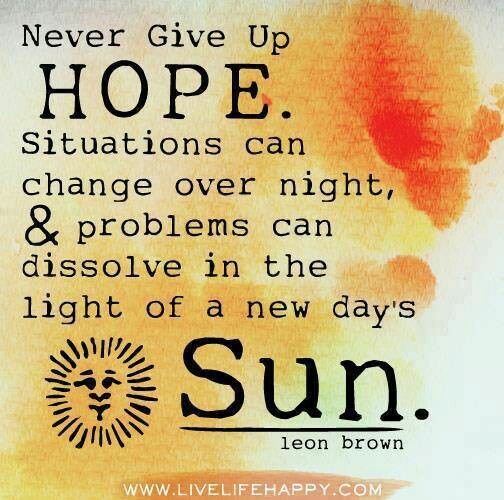 If you ask me, the definition of hope is simply the decision to not give up. 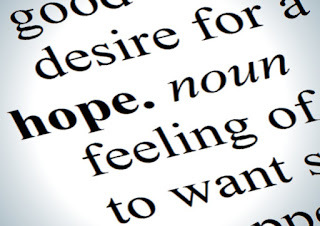 As a Christian, hope means more than any dictionary can define. It is a sense of security that no matter what tornado you find yourself in, there IS more...that there has to be. 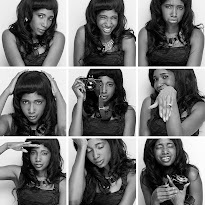 Life is a chaotic journey. 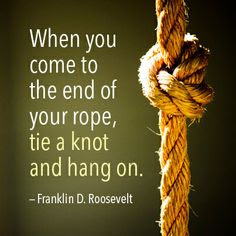 At one time or the other, we have felt like we've seen the end of the rope. Sometimes, you build and build and just when you begin to see a structure forming, the whirlwind comes and blows it all away. The very moment you look at the shatters of what "could have been"... in that split second when you feel the emptiness that used to be the awesomeness you had planned, you almost can't help the overwhelming feeling of hopelessness. That feeling, that if you let simmer, would become all too familiar. To find hope means to recognize it. To have hope is to understand what it takes to get it. Once you can recognize it, find it, and hold onto it, you can stand above life's most challenging seasons. 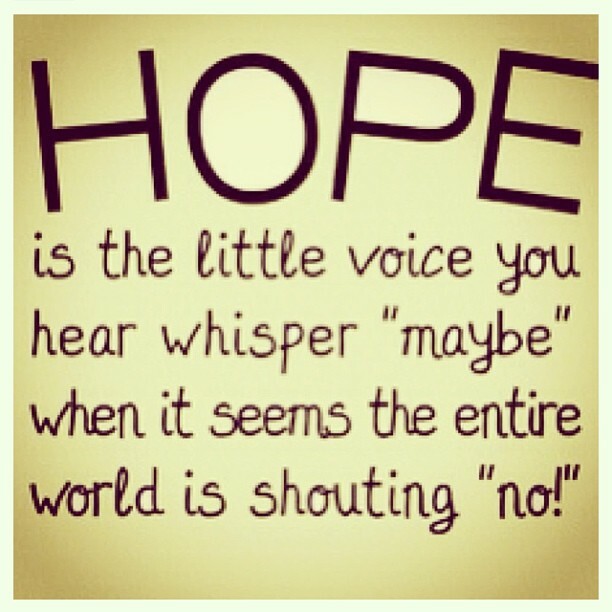 Hope is not just another feel-good four letter word. It is a personal conviction to hold on. Hope does not naturally come by instinct. It is a choice you have to make to overcome fear...a decision to believe in an end result beyond view. Hope means changing your perspective. It is that little silent warmth you feel when you stop glaring at your "situation" and start staring it down. Whenever the road ahead seems dark and gloomy, hope means choosing to see the light at the end of the corner. During hard times, we often look for hope in outside occurrences or things or people. It may be the Doctor's words or expressions. It may be in the sum of your bank accounts. You may seek it in the promises or actions of others. A doctor's words or another persons' promises only gives a false sense of security. 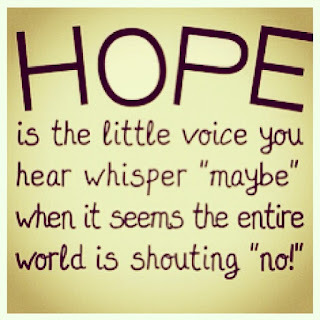 Solid hope is found by zooming past the circumstance or situation and even the people around you. 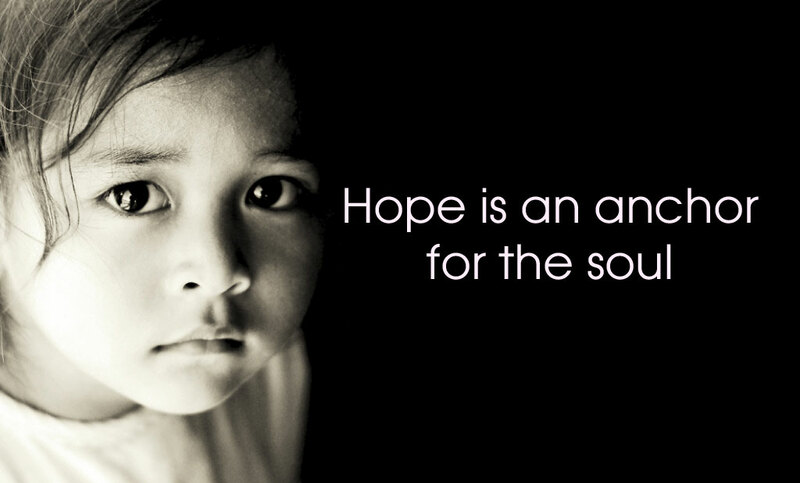 Finding hope requires a deep understanding of what drives you. 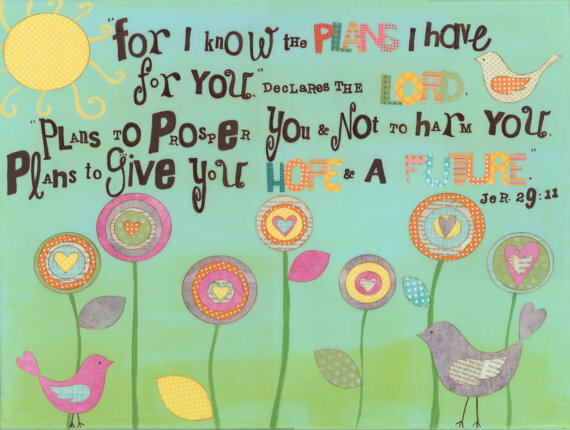 For me, my hope is based on my Christian faith. When I need hope, I remember that my life is not mine to plan or run. I remind myself that God mapped out my life before I was born and that if I truly believe in Him, I have to trust that the He is working to align my stars. In every moment I feel less than secure, I shift my focus from the situation and onto Jeremiah 29:11 and that's where my grip rests till the tide is over. Despite the very weakness that as humans we are born with, we are stronger than we know. If you look hard enough within, you will find strength that goes beyond what anyone or thing can give you. You may not recognize it, but you ARE strong. Find it, recognize it, and never let go. Remember strength does not come from physical capacity. It comes from indomitable will.